We have been extremely busy for the past few months, making plans for this coming year, and turning some of those plans into action. Stop New Offshore Oil Drilling– As you may have heard, the latest proposal from our current administration threatens to extend 90% of our coast to offshore oil and gas exploration. This spurred local assemblymen to hold a public hearing locally because initially, there was only one scheduled in Albany. New York State Assemblymen and women held their own public hearing to listen to the concerns of their constituents in Smithtown on February 14th. There was a great turnout for the rally beforehand and New 12’s press coverage featured our chapter’s Vice Chair and Chapter Coordinator in their story. 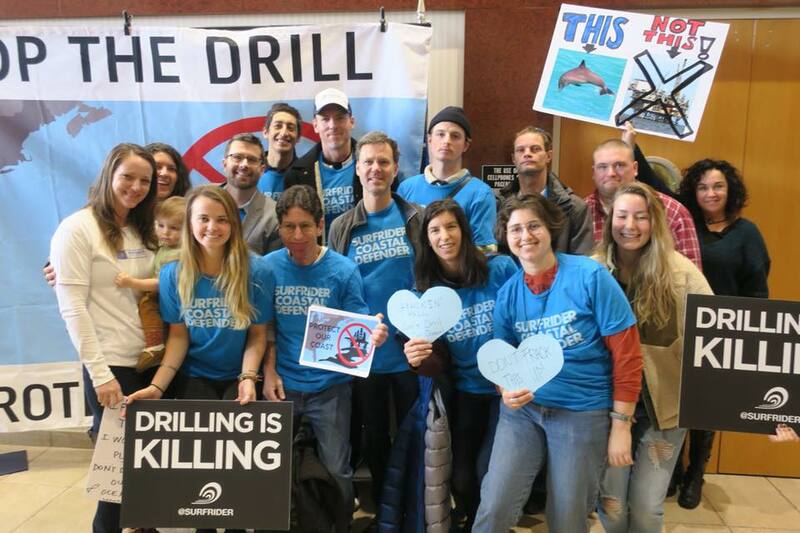 Additionally, our Legislator Lee Zeldin and Ryan Zinke, Secretary of the interior, organized a public hearing with the Bureau of Ocean Energy Management, at Brookhaven Town Hall on March 2nd. Despite the extremely short notice for the hearing, hundreds showed up in protest. Both meetings heard and recorded testimony which we participated in. See the News 12 story here. February 14th Public Hearing Standing up against Offshore Oil Drilling. Action: The public comment period ends March 9 and can be submitted to BOEM here. Fund the EPA / BEACH Act – Massive budget cuts have been proposed for the EPA in the President’s Budget for both FY 2018 and FY 2019 (31% and 34% reductions respectively). These proposals would eliminate agency staff and several critical programs that are necessary to reduce pollution and protect clean water at the beach and in coastal watersheds. Of particular concern is the complete elimination of the BEACH Act Grants program that helps coastal states fund their beach water quality monitoring and public notification programs. Without this funding, beach programs in many states will just stop. Read more about the BEACH Act here and how you can stand up for clean water. Action: Click here to ask Congress to continue funding for EPA and NOAA. It only takes 1 minute. 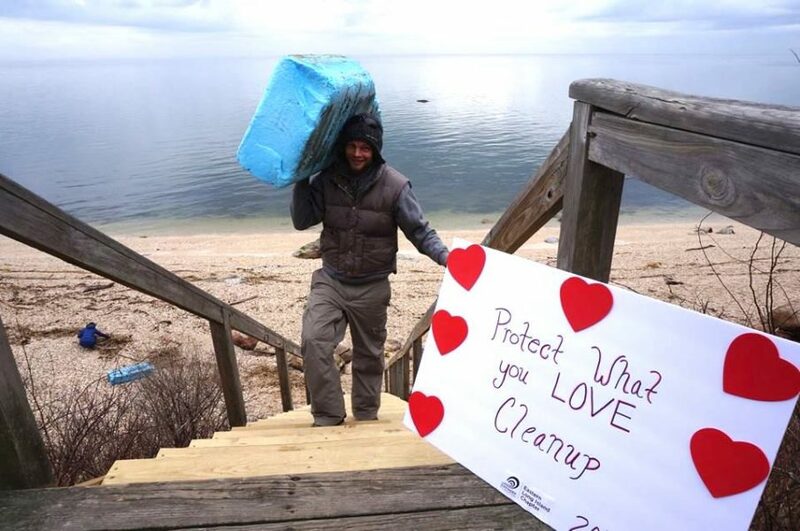 Beach Cleanups – During the month of February, the Eastern Long Island Chapter held three consecutive “Protect What You Love” Saturday beach cleanups, collecting 1,898 pounds of trash off of our beaches. A little teaser, much of this plastic trash is being made into a float for the upcoming local St. Patricks Day parades in the coming weeks! Please join and walk with us at the parades! Dates are included in the calendar on the bottom. Action: Check out our Facebook page or look at the calendar below to lend a hand at our upcoming cleanups. Strawless Summer 2018 – We are stoked to announce our Strawless Summer 2018 Program! 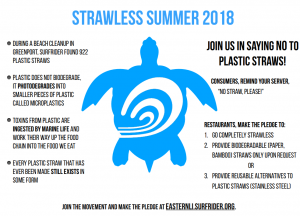 With the goal of reducing the number of plastic straws used in restaurants on the East End, the ELI chapter is working to educate the public about the negative effects of plastic straws, collecting information about the price and number of plastic straws being used in restaurants currently, and working to create an attractive, economic alternative for restaurants. In return, restaurants will be given a window decal showing participation, will be included on the Eastern Long Island Chapter’s website and on social media platforms, will be included in local media releases, and will be given priority for hosting meetings and events. Action: If you’d like to help us sign restaurants up, click on the link below. Please direct any questions to Colleen at chenn@surfrider.org. 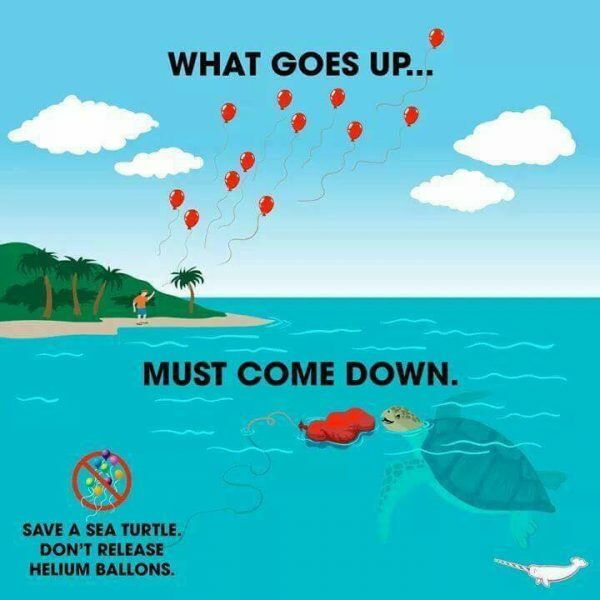 Ban the Intentional Release of Balloons – The photo below describes it best: what goes up…. must come down. As the law states right now, individuals within Suffolk County are legally allowed to purposely release up to 25 balloons during a 24-hour period. The chapter is currently compiling letters from environmental groups and individuals who feel passionately that townships and villages on the East End should pass local legislation to ban the intentional release of balloons. To begin, the chapter is targeting Southampton Village as one local municipality. Action: If you’d like to write a letter in support of Banning the Intentional Release of Balloons, just simply state your overall experience with finding them in your travels and please send it to Kurt at vicechair@easternli.surfrider.org. Blue Water Task Force – Our Blue Water Task Force volunteers haven’t taken a break this winter. 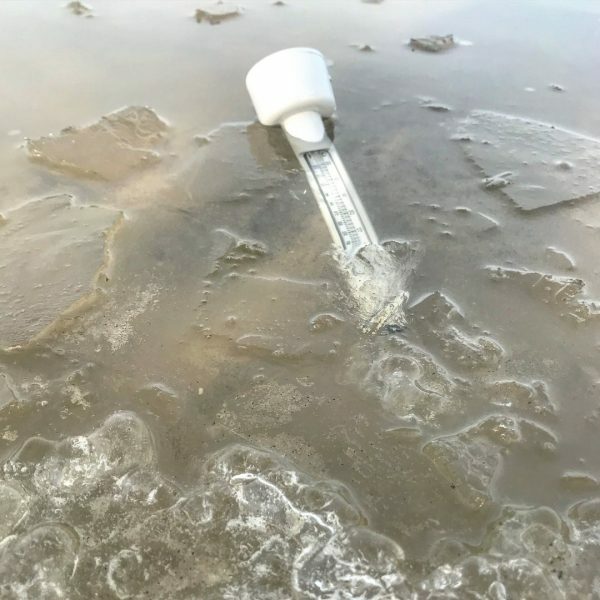 Despite the cold weather, the Eastern Long Island Blue Water Task Force has been actively sampling around 50 locations on a monthly basis. For latest water quality results, click here for Southampton results and click here for East Hampton results . Action: We are always looking for new water samplers, so if you are interested in getting involved, or if you are interested in receiving “Water Quality Alert” emails, email Colleen at chenn@surfrider.org. Ocean Friendly Gardens – During 2017, our chapter designed and installed three bioswales as part of the East Hampton Village Green Ocean Friendly Garden project to help absorb and filter out pollution from road runoff that flows onto the green during rain events. 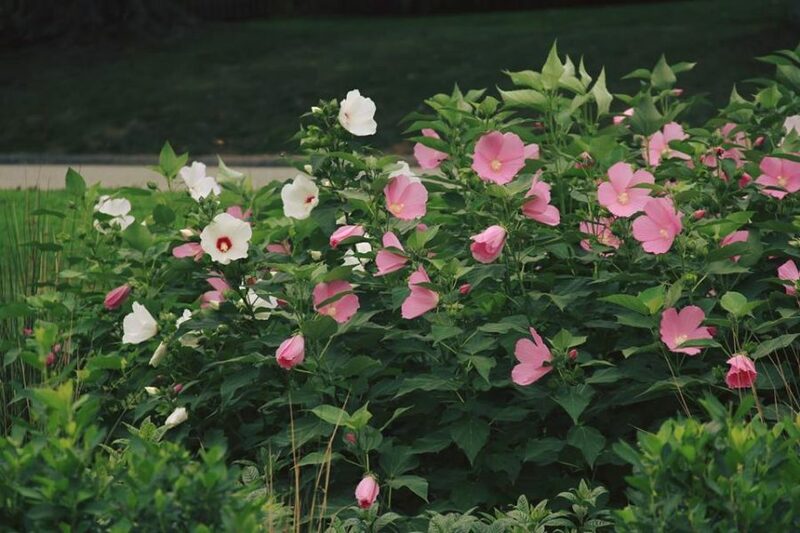 The bioswales have been planted with native plants tolerant of the flooded, wet conditions that often occur at the green, and they are connected by a ‘stream’ of plants that follow the natural contour of the green and the subsequent flow of water. We have since been collecting water quality samples at the bioswale when a sampling day coincides with a water testing day. So far, the Village Green Bioswale is beautiful and appears to be functioning as planned. Action: Learn more about how to make your lawn/garden “Ocean Friendly.” If you are interested in planting an Ocean Friendly Garden, or if you are already following the criteria, we’d love to hear from you, and hook you up with an Ocean Friendly Garden sign. Please email Mara mdias@surfrider.org. 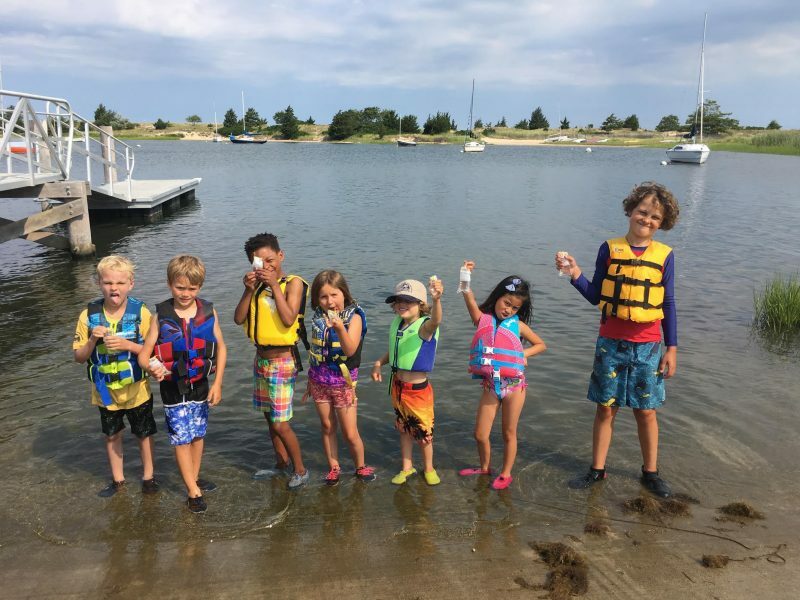 School Programs – We had the pleasure of doing an education program early in the fall with the Montauk School Fifth Grade, where we met them down at Lake Montauk. In the Spring, we have an education program scheduled with Pierson High School and we look forward to scheduling more as the water gets warmer. To learn more about our education programs, click here. Action: If you have any connections with school groups or summer camps, or if you have experience in environmental education and would like to volunteer at our education programs, email Carolyn at volunteercoordinator@easternli.surfrider.org. Stop the Army Corps – After Nor Easter/Winter Storm Riley the bags are exposed again. Although this battle is currently a losing situation we press on to stay current with few other future plans ACE has for our chapter. We will be sure to keep you informed. 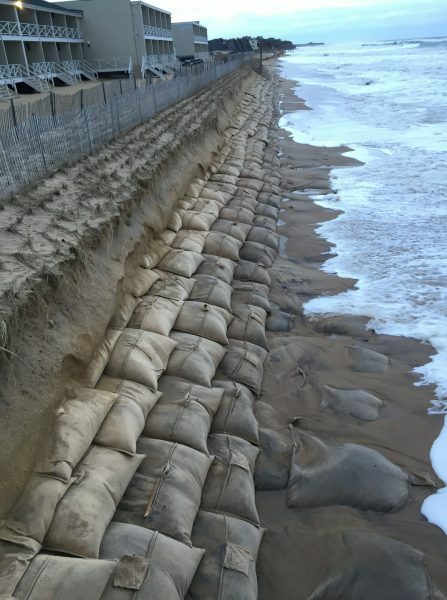 Action: Send us photos of coastal erosion via social media or by contacting us. 3/09, Deadline for BOEM Public comment Period. Make comments here. 4/21 Southampton: Earth Days Celebration at Southampton Arts Center, 9am-? **All events subject to change. For latest info, visit our Facebook page or our Calendar at easternli.surfrider.org.